Doctor’s Choice™ Eye Formula / 90 tabs - Nature's Way®. Why support healthy vision with supplements? Our diets may not be enough. 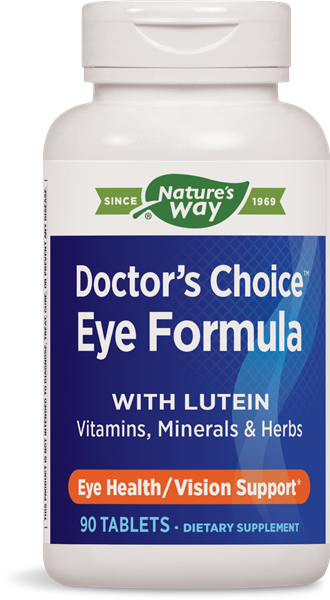 Why take Doctor's Choice™ Eye Formula with Lutein? You can use it with other Doctor's Choice™ supplements. Take 3 tablets daily, during or after meals. Caution: If you are pregnant, nursing, have a blood clotting disorder, or taking any medications, consult a healthcare professional before use. What other eye health supplements can be taken with Doctor's Choice Eye Formula?